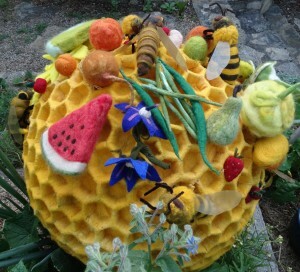 A range of projects around the world where people are using the arts to draw attention to the plight of honeybees. 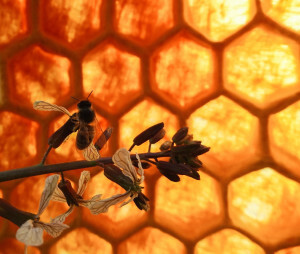 Small and vital, bees work together for the good of the whole ecosystem. 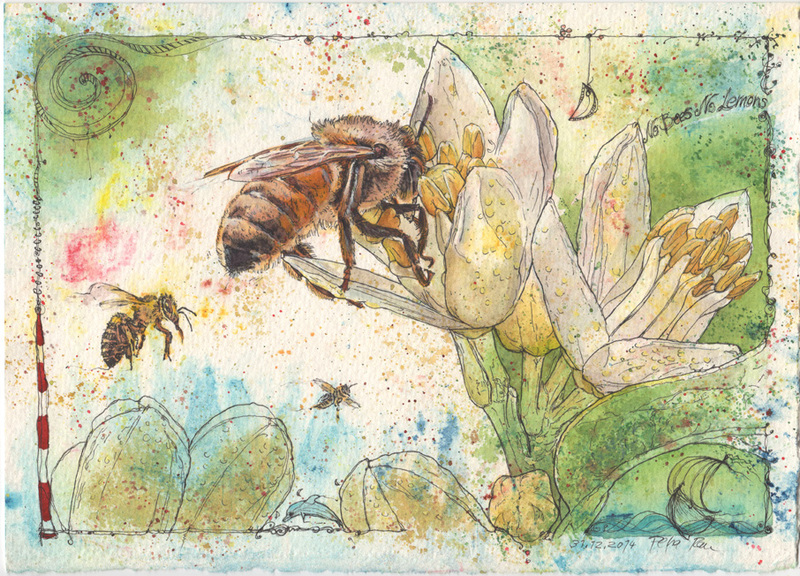 They are excellent pollinators who bring the abundance of food to our gardens and farms by transferring pollen as they collect the nectar and pollen from the flowers. 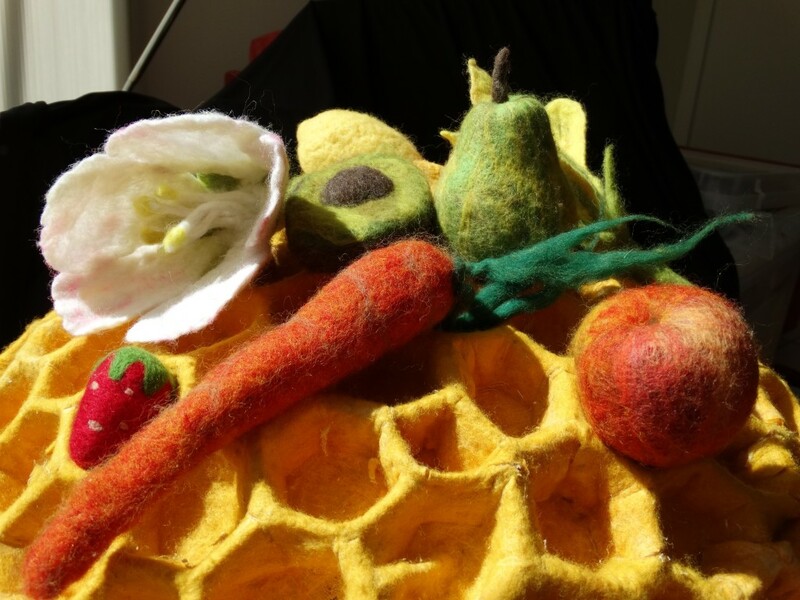 A Community Arts Project initiated by Julie Armstrong to raise awareness of the importance of bees for pollination for a whopping 2/3 of our food production. Fruit and nuts including apples, almonds, avocados, cherries, kiwifruit, apricots, peanuts, blueberries, plums, mangos, oranges, peaches, pears, watermelon and honeydew melons. Vegetables and seeds including beans, broccoli, carrots,cucumbers, cauliflower, celery, onions, pumpkins, squash and sunflowers. Livestock feed including clover and lucerne all depend on honeybees for pollination. 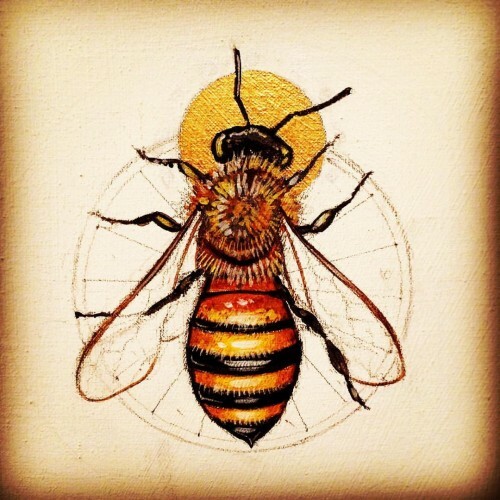 Artist Matthew Willey is the founder of The Good of the Hive Initiative, and has committed to personally paint 50,000 honeybees – the number necessary for a healthy, thriving hive – in murals across America. Through art and social media engagement, The Good of the Hive raises awareness about the current struggle of the honeybees, celebrates their amazing behaviors, and draws attention to the inextricable connection between people and honeybees. 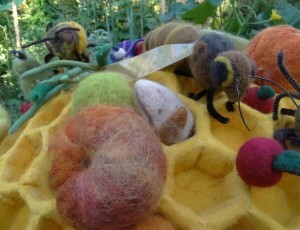 Petra Rau Artist No Bees series. 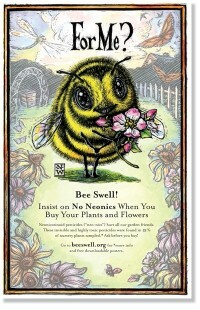 Laura Wildgen ‘No neonics’ free downloadable Bee posters. 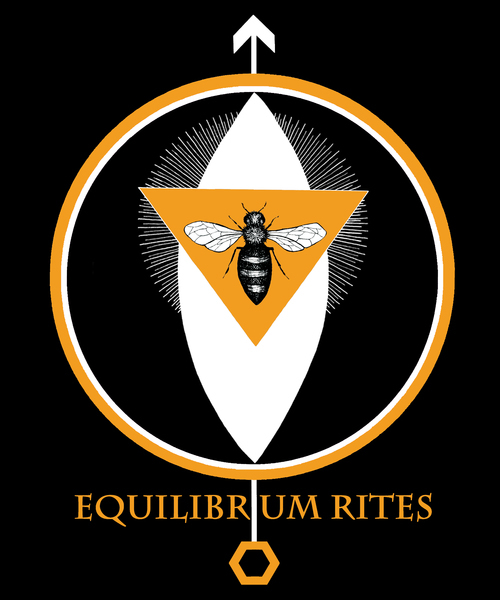 Equilibrium Rites Every year, 80 billion honeybees are trucked into California’s Central Valley to pollinate nearly one million acres of almonds trees. This year was history’s greatest gathering of honeybees, coming at a time when hive populations are facing 40% yearly die-off rates and the state copes with extreme drought. 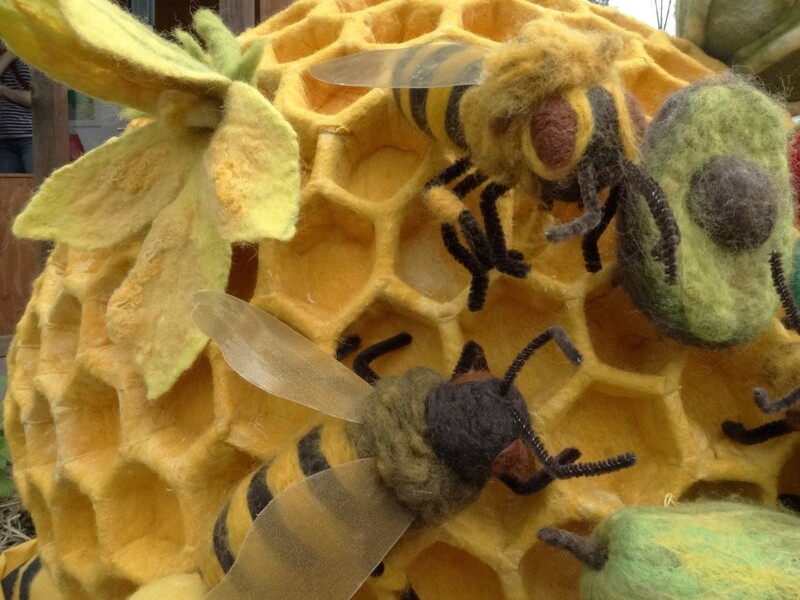 During this mass pollination event a crew of six women costumed in gold performed a five day 100 mile walk through the desert. Part performance art, part ritual, part activism, Equilibrium Rites seeks to raise public awareness of this ecological crossroads so as to instigate healing and inspire creative response to crisis.